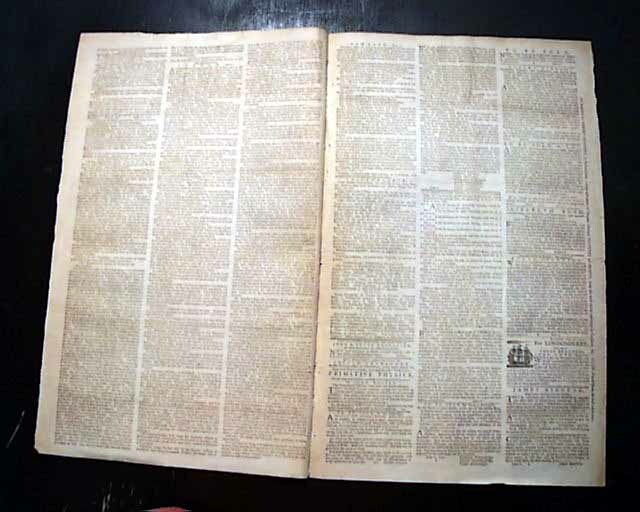 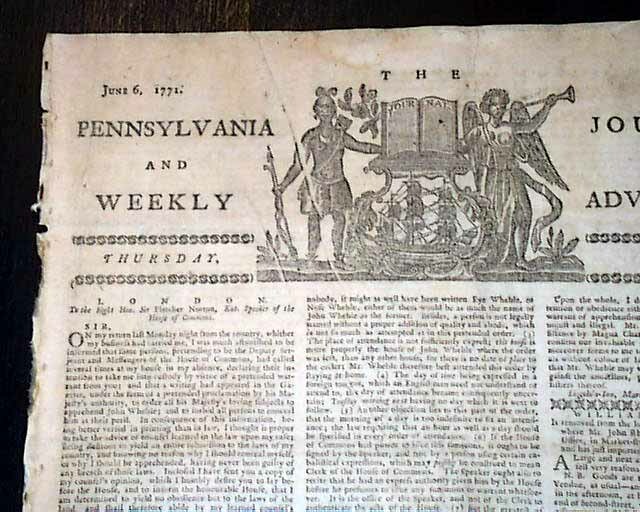 THE PENNSYLVANIA JOURNAL & THE WEEKLY ADVERTISER, Philadelphia, June 6, 1771 This newspaper features one of the larger & more decorative masthead engravings to be found in a colonial America newspaper. 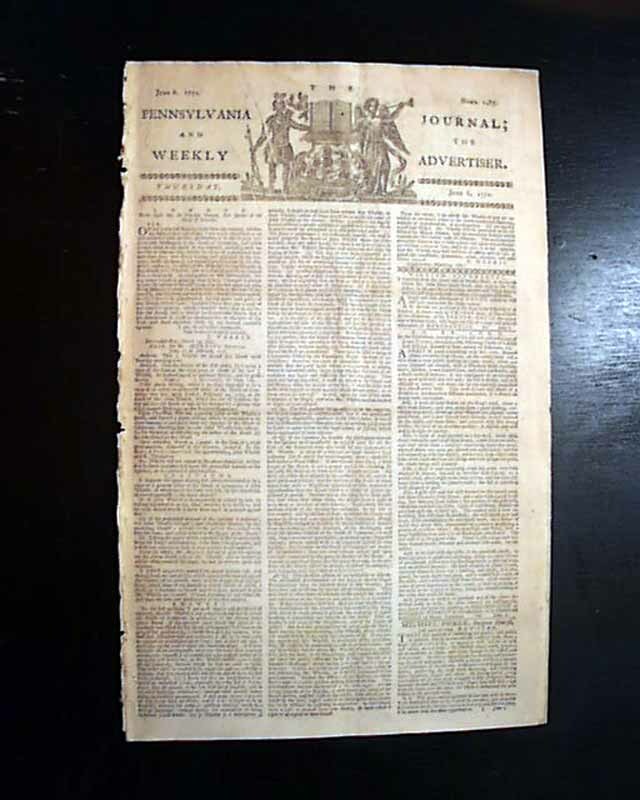 Pages 1 and 2 are taken up with reports from London, with page 3 having datelines from New York and Philadelphia. 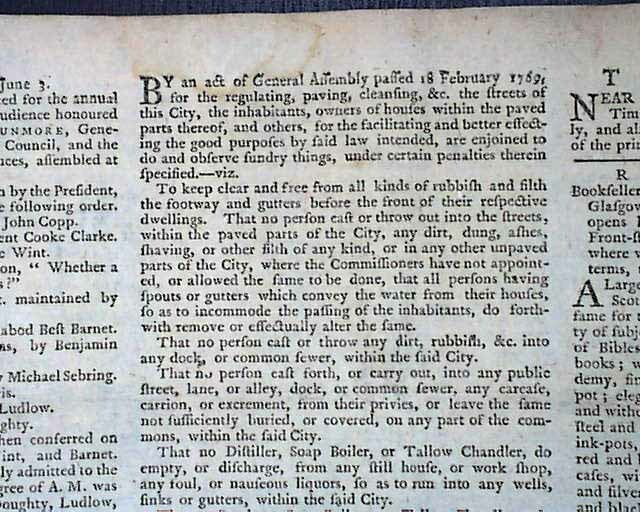 Also details of a law: "...for the regulating, paving, cleansing, etc. 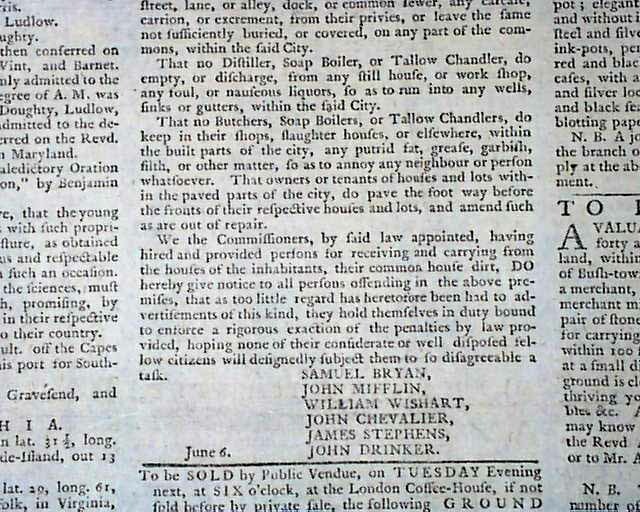 the streets of this city..." (see). 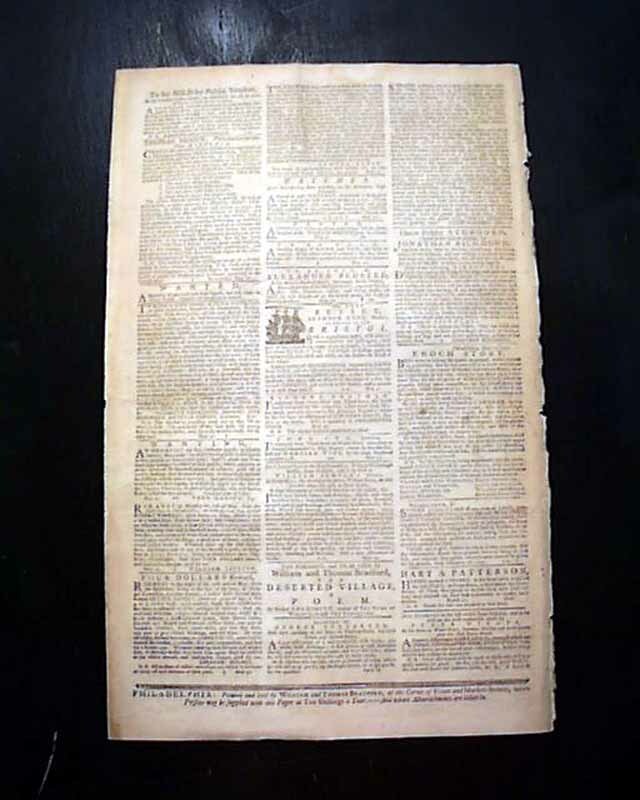 The back page is taken up with advertisements.